That brings my total weight loss to 25 pounds! I'm thrilled to say that I'm half way to my weight loss goal! 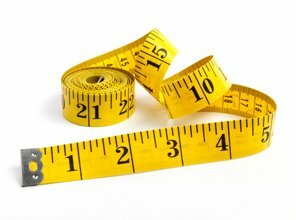 In addition, I've also lost 21.25 inches! I'm holding myself accountable and it's paying off! What could you "gain" by losing? wow!!! 25 lbs is awesome!! congrats!!! That's awesome!! Congratulations! 25 pounds is a HUGE number! 25 is so amazing!! Way to go!! WOW! I have been following along and watching your progress each week and I have to say, I think that I want to try Nutrisystem! You have done so well! Wow! 25lbs is awesome! 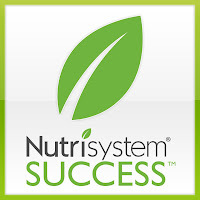 I love reading all these nutrisystem posts! Wow! Congrats on your milestone! 25 pounds is awesome! 25 lbs is AMAZING!!! CONGRATS! CONGRATULATIONS! 25lbs is amazing! Keep up the great work. Congrats on doing so well! I'm glad to hear you have more energy. I need to work on getting consistent with my healthy eating and workouts so I can have more energy too. You're an inspiration!